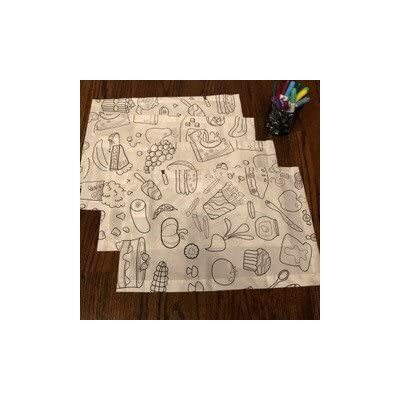 RESTAURANT QUALITY! These are perfect for any occasion. VERY EASY TO CLEAN! FUN COLORFUL OPTIONS FOR YOUR CONVENIENCE. 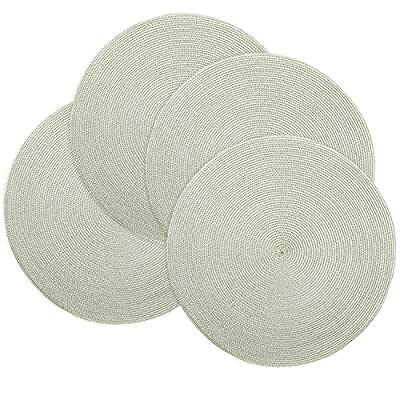 Protects your table from scratches and stains. High Quality. GREAT VALUE! 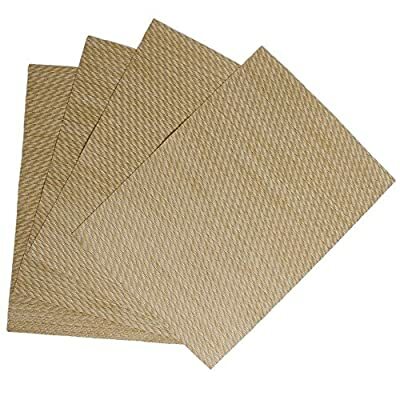 Package includes – 4 Placemats. 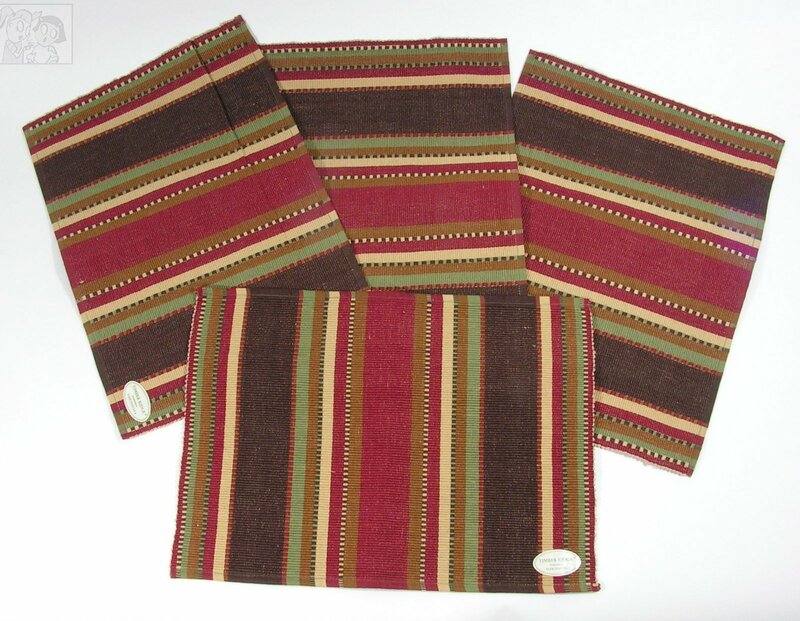 DECORATE YOUR KITCHEN TABLE: Get this set of four Indoor/Outdoor Table Placemats and decorate your kitchen table. 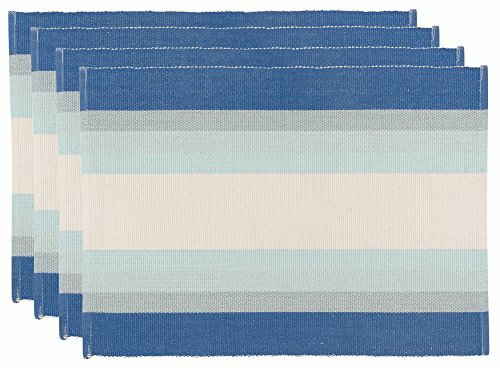 Place a Table Mat in front of every chair and your kitchen table will look like it came straight out of a magazine! 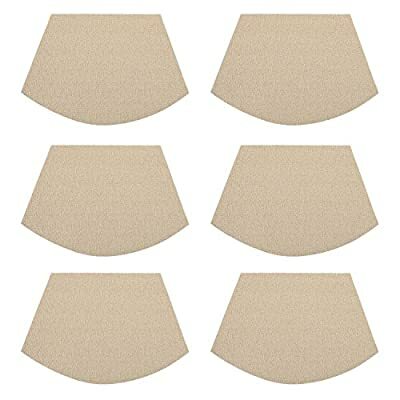 The neuter beige sand color of the Cloth Placemats will look great in any kitchen, no matter the colors of the cabinets. 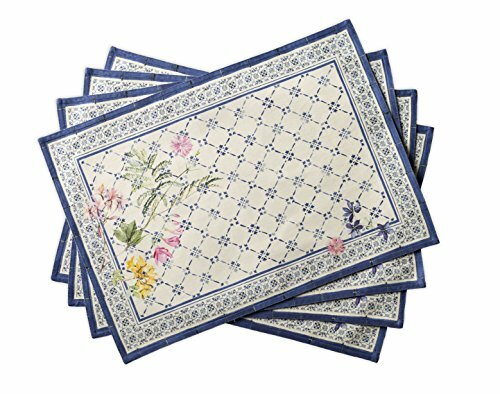 KEEP YOU DINING TABLE CLEAN: When you are preparing the dining table, instead of a tablecloth you can lay the Table Placemats. 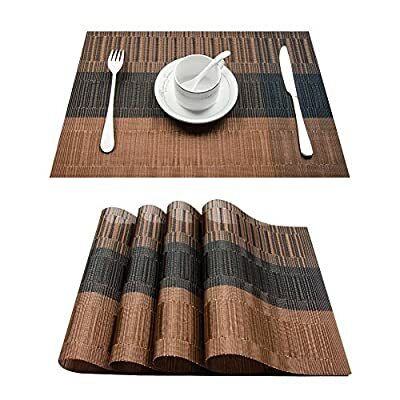 In this way you will keep your table clean if something spills out of your table. 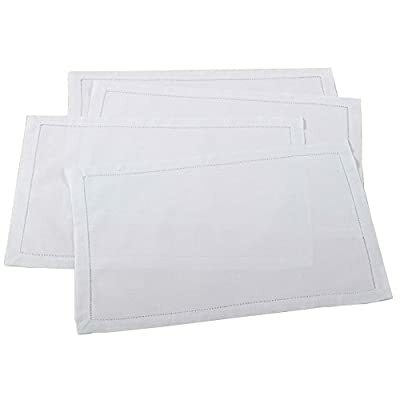 And the Placemats are smaller and, therefore, easier to clean than a large tablecloth. Your life just became easier! 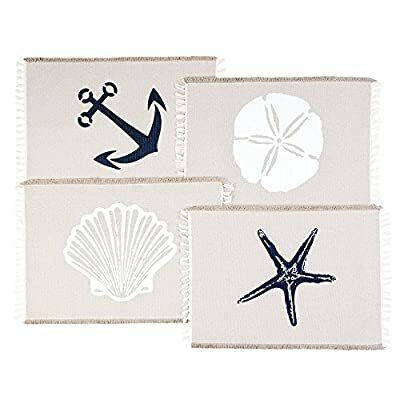 THE MOST BEAUTIFUL DESIGNS: Each one of the four Table Placemats has a unique beach themed coastal decor nautical design. 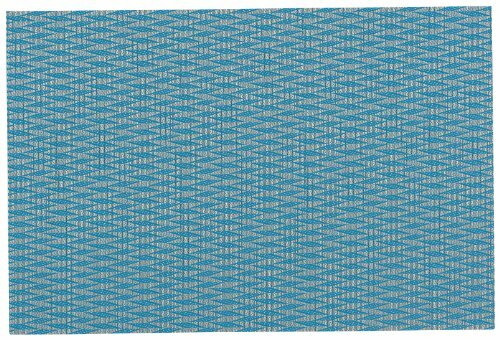 There is one with a blue star and one with an anchor, both of them in a beautiful navy blue color. The other two designs are white and they are a shell and a sand dollar. 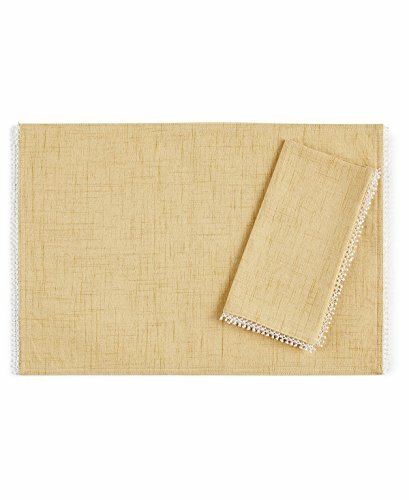 The edges of the Placemats have elegant, short fringes. 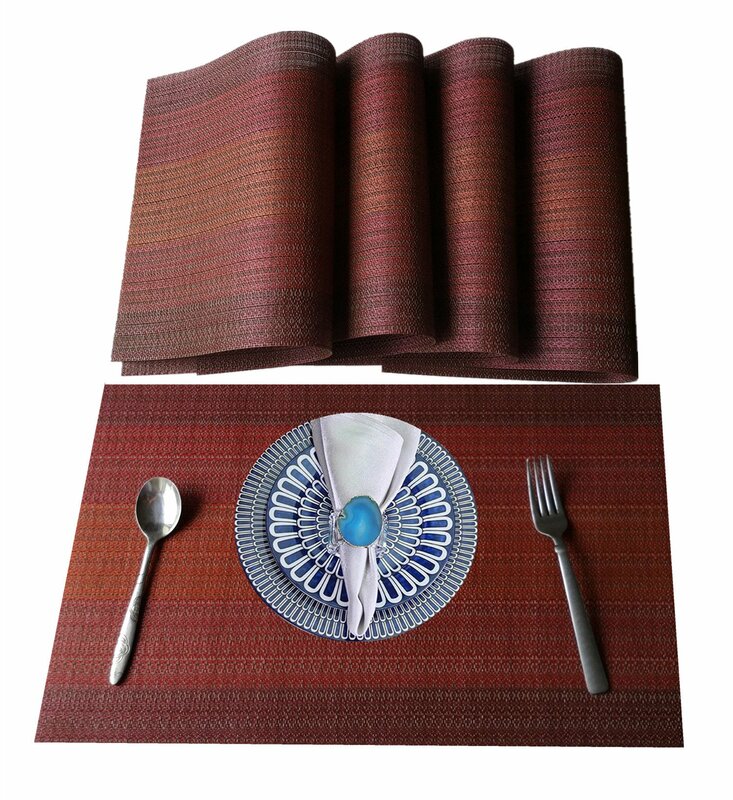 NEW DESIGN:Top-grade exquisite design placemats feel good would be the best decoration and Protection to your tables if yo have children. 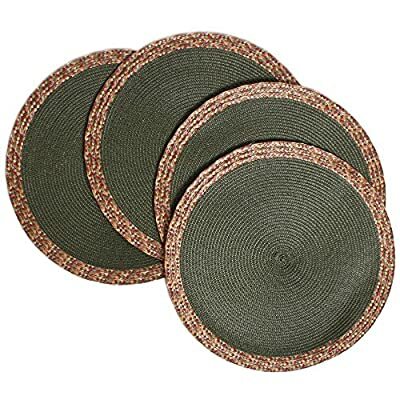 These Hand Weaved wicker reed Thai style placemats and coaster sets with silk border trim made with natural sustainable materials by skilled crafts people, a quality item perfect for the dinning table when entertaining guests but hard wearing enough also for everyday place mats. 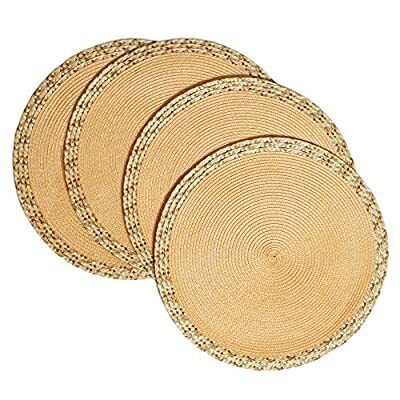 Beautifully decorative with lace elephant trim they are also perfect for dining table centerpiece mats or for a coffee table mat. 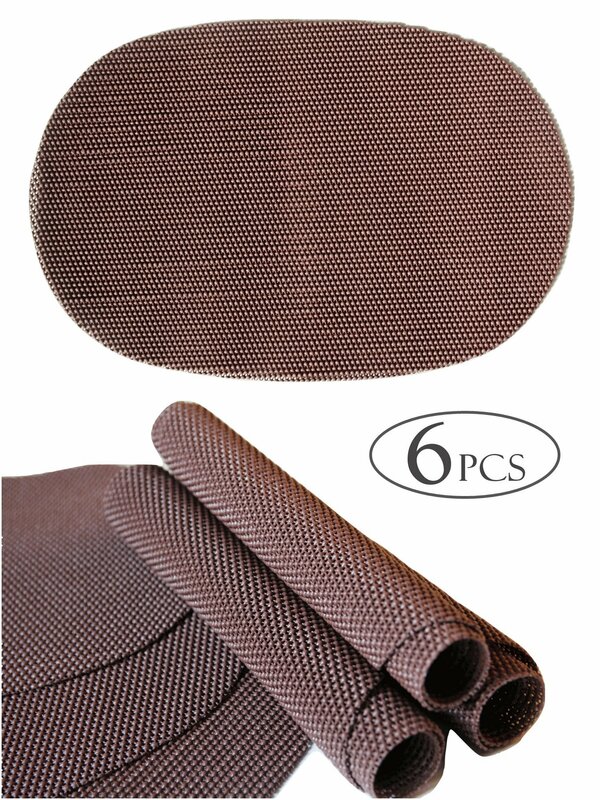 High Quality Polypropylene and Cotton: Moisture, antibacterial, easy to clean, no fading. 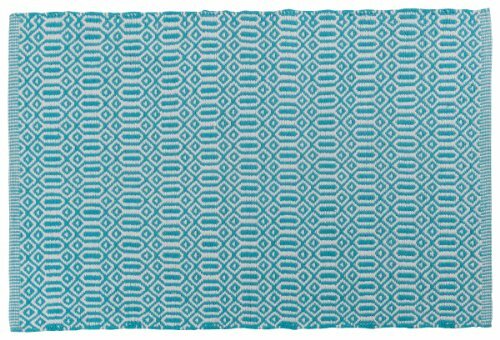 Environmental Friendly Material: Suitable for kitchen, dining table and other occasions. 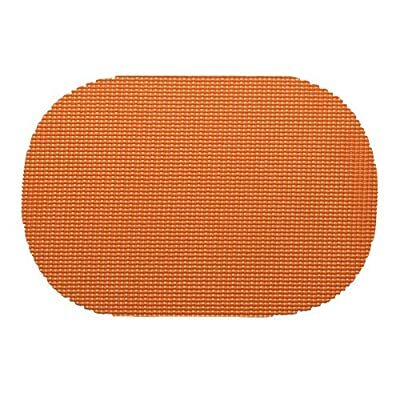 Good Thermal Insulation: Good thermal insulation to protect your dining table from damage. LIVE IN STYLE ! 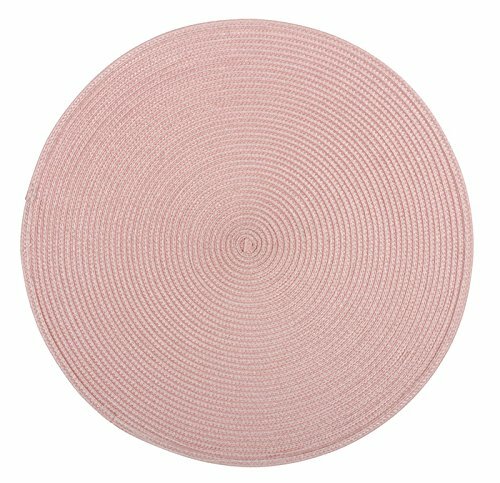 – The classic French Perle collection solid placemats has the perfect combination of size, color and style, allowing you to choose the best placemats for every occasion! 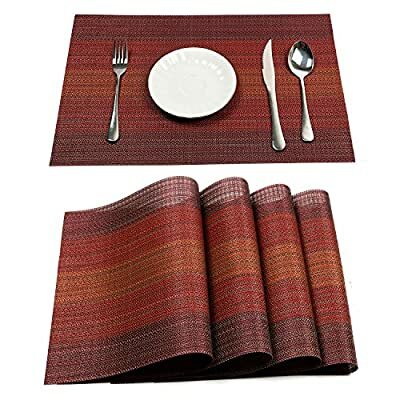 And is fade resistant and will retain the color much longer than other placemats. 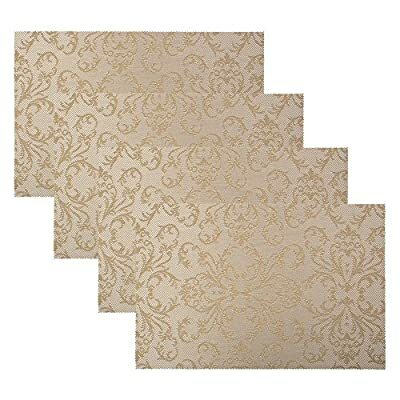 FRENCH PERLE COLLECTION – Lenox French Perle collection solid design features a delicate, detailed, laced trim, and is made to be elegant yet simple and classy. 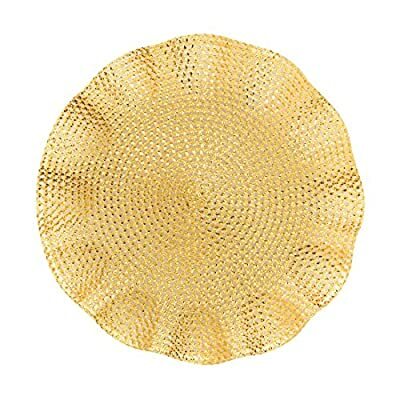 This fresh contemporary design will surely adorn your table decor throughout the year. 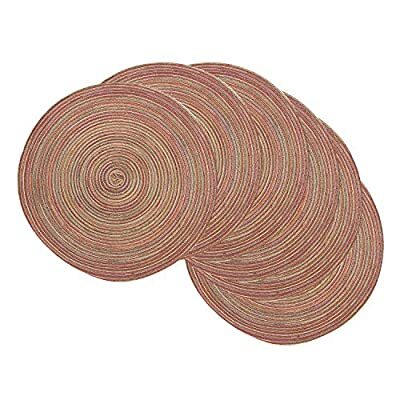 ADD A FRESH TOUCH – Dress up your table top and update your home with the attractive placemats that will enhance and brighten up your home, and will surely add a beautiful touch to your table decor. 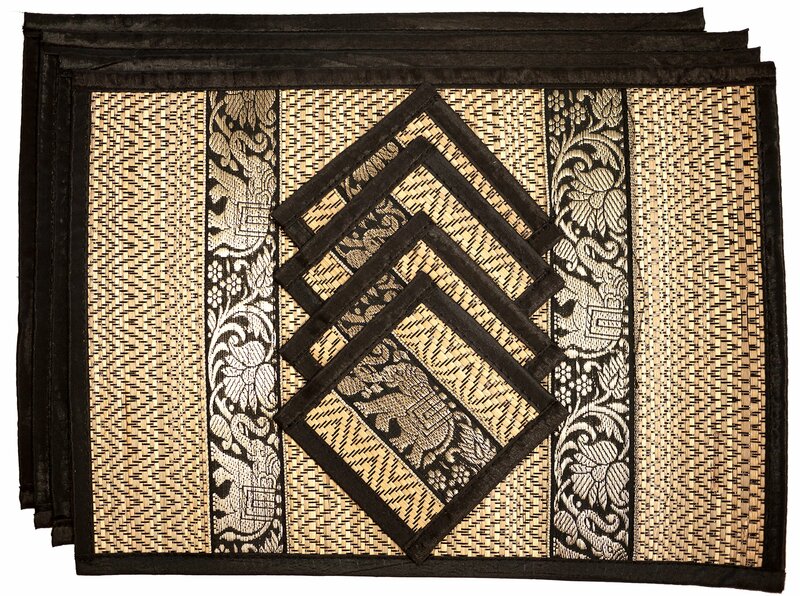 Spice up your home to add glamour and ambience.